We are living in a golden age of internal-combustion performance. In the Ford world, the Coyote engine platform ushered in a whole new level of performance. Often, however, it is the automatic transmissions behind these engines that allow the latest 5.0-liter engines to reach their full potential. While the latest 10-speed automatic garners a lot of headlines these days, its predecessor — the 6R80 six-speed automatic — is farther along in the aftermarket development process. Thus it can be enhanced to support performance levels that factory engineers never dreamed it would have to withstand — like 7-second, 3,600-plus-pound street cars. Many chasing those performance levels eventually swap to a Brand X transmission, but Brett LaSala has shown that just isn’t necessary. He runs a fortified 6R80 six-speed auto in his 7-second 2013 Mustang GT, a.k.a. the Snot Rocket. Early on that was an easy administration to be part of, as the 2011 Mustangs ran some amazingly quick times with the stock six-speed auto in the tunnel. Some cars ran into the 9-second zone without touching the trans. However, stock always has its limits. The First gear one-way clutch (sprag) is a replica of the stock piece made of much stronger billet steel instead of the sinter-forged stock piece. Also the clearances of the mechanism have been lowered as much as possible to take the huge amount of play out that the stock piece has. While his transmission didn’t fail as he started to push the envelope, Brett knew that his trans was on the edge and performance was suffering. 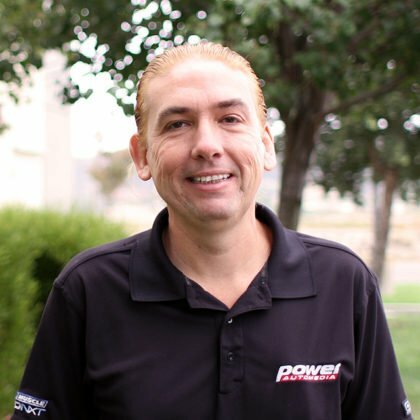 He is a trained transmission tech, so he realized it was time to head off any problems and prep for the future. A billet replica of the sinter-forged stock piece, this stronger First gear one-way clutch features tighter clearances than the stock unit, which further reduces the chance for breakage. Along the way to becoming a 6R80 guru, Brett began to see a couple of the usual suspects when people did push the envelope a bit too far. The result is that Brett now incorporates these parts into his transmission builds and offers them for sale to those who want to fortify their own six-speed automatics. Either way your transmission should be strong enough for almost anything you have in store. Born of building his own 6R80 transmission, Brett LaSala has become a go-to builder for big-power six-speed owners. The typical rebuild includes upgraded friction materials, steels, and a billet intermediate shaft. These start at $2,000, but if your are pushing four digits, you’ll need to add the upgraded First-gear one-way clutch and a billet forward planetary. Even better is the stronger transmission will still behave like the stock transmission when the tuning calls for it, so you can run it worry-free even if your ’Stang doesn’t run sevens. For more on these billet-bolstered 6R80 six-speed automatics, you can reach out to Bret via email or his Facebook page.